Running in circles and getting nowhere was exhausting. 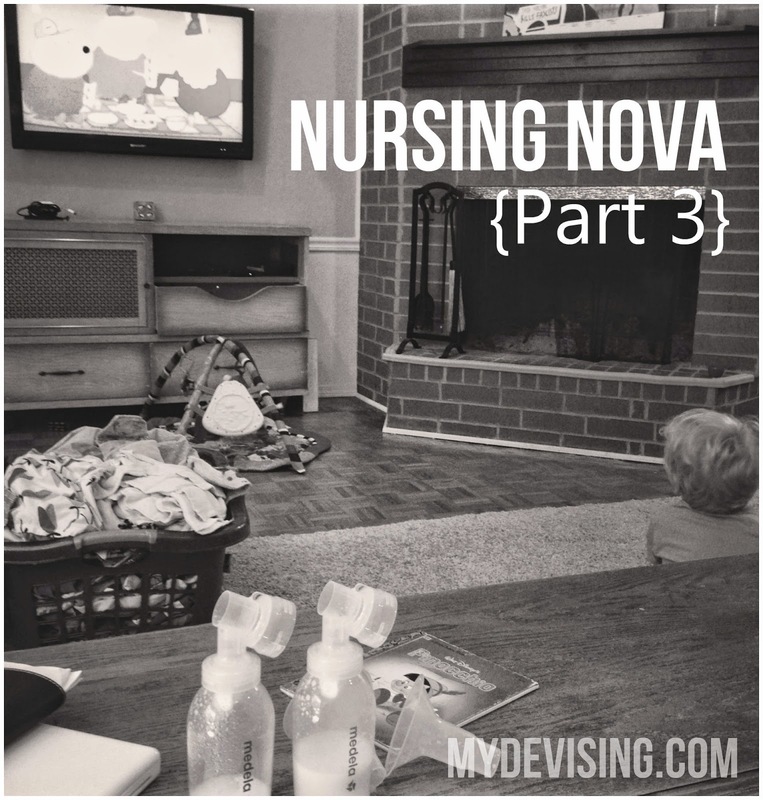 Ending the hamster wheel of trying to nurse was a relief. I spent the next day basking in my decision and the quick peace I felt. Being done with that process and the pressure that came with it was the best gift I could've given myself and my family. I went from nursing to exclusively pumping. I was ify about this because I knew how much work it would be, but I wasn't ready to give up my liquid gold. For whatever reason, the Lord blessed me with a great supply for each of my children. I didn't have to fight for it - it was just there. The thought of spending all of that money per month on formula while I had what she needed right here just seemed ridiculous. I wanted to give it a shot, but I gave myself an out - which is something I never do. I'm an all-er-nuthin' kind of gal, but I knew I didn't have the energy or brain space to be that way about pumping. I still had to be concerned with Duke's needs, Colt's needs, and, frankly, my own needs - not just pumping breastmilk and feeding Nova. Having a toddler around would change the equation, but I knew I needed to at least try. I told myself I would be chill about it. I wasn't going to pump as many times as she ate. I was just going to pump a decent amount of times to maintain my supply and stay a few days ahead. Nothing crazy. Bringing the pump and doing the pumping was one thing. Then there was thinking about the pumping. I'd be out enjoying an evening away and suddenly, it was like a balloon had deflated. Right when I get home, I have to pump. Every free moment was a pumping session. An early morning before kids were up - gotta pump. An afternoon when kids were napping - gotta pump. An evening when kids were asleep - gotta pump. Even my "free" moments weren't free. As I carried the parts from the kitchen to my designated spot on the couch next to my pump, Duke would look at me and say, "You gotta do that milk machine, mom?" There was only so much of that question I could take. It was so sad to me. I wanted to explain it to him. "Well, honey, I don't have to do it, but it's good for me to do it. You got to have this milk for a whole year and now it's Nova's turn to have it." But even that elementary description wouldn't truly make sense in his mind. I'm not saying it's wrong to pump when you've got a toddler around, but for me, it wasn't working - logistically or emotionally. 5-6 pumping sessions a day turned into 4. Then that turned into Oops I forgot to do 4, so I guess I'll just be good with 3 today. Well, once you get to 3, things kind of start ending. You think, I'll just pump for like 40 minutes and get more milk and it'll be great. But it just doesn't work like that. Once I got to that point, where I knew I just didn't care that much, I talked with Colt about it. He was completely supportive of whatever I chose, but was definitely over it like I was. I thought about pumping before I was pumping, I rolled my eyes as I was pumping, I complained about pumping after I finished pumping, and then I spent a million minutes a day maintaining and cleaning all the parts that were used for pumping. Nothing about it was fun. I didn't feel noble, I felt exhausted. There wasn't really a definitive moment when I made the decision to quit. The pumping sessions decreased and at the same time, Colt and I were discussing the idea of switching to formula. It all just gradually happened. Life happened. I wasn't going to plan my life around this. I just couldn't. It wasn't my personality. Committing to nurse for a year and carrying that plan out with Duke was hard stuff. Breastfeeding is tough, period. But exclusively pumping is tougher. There are all of these extra steps you have to add into your life and routine in order to get your milk from you to your baby. Breastfeeding is like paying by credit card online and pumping is like mailing in a check. It just takes longer. I had a few meltdowns as this chapter was coming to a close. I'm so lucky to have such a compassionate and understanding husband who listens to all of it. But he admits, there's a limit on his understanding. He knows he can't fully wrap his brain around what it means for me to quit giving Nova breastmilk. The best way I could describe it is that my body is saying, "Here's the milk that I'm making for your baby." And my actions are responding with, "No, I don't want it." It feels awful, unnatural, stifling, and abusive. That may seem over-dramatic, but I bet any mom who has chosen to cut off a perfectly fine milk supply can empathize. It just feels so wrong. But again, I had to put my family and what's best over all of that emotion. As Nova was approaching 2 months, the realization that I would be switching over to complete formula was becoming even more real. I was mixing half and half, knowing full well I'd be scooping that powder full time very soon. Sure, I know the good stuff about it. I know how free I am. I can be gone for as many hours as I want and not feel the burden of keeping up with my supply by either lugging my pump around or hurrying back for feedings. I can sleep on my belly. I don't have to be concerned about what I eat or drink. Anyone can and gets to feed my baby. More people are in on the experience of nourishing and cuddling my sweet Nova by giving her a bottle. Yes, along with a full list of negatives for using formula, I could give you the full list of positives. I totally see the good things in this, no doubt. However, it doesn't change the really bitter part of this whole thing. Formula is a million dollars because it can be. Moms need it and the formula people know it. Forking out $25 for a deal of formula is annoying when I know my own body could make it for free. But having more money in our bank account wouldn't make up for the time I'd have to spend pumping each day. If we have to spend money in order to have a better quality of life, then that's what we have to do. Money, in this case, is giving me more time with Duke, more time on my own, more enjoyment feeding Nova, more time for dates with Colt, and more time not being weighed down by the mental burden of keeping up with my supply. While landing on a decision has been a breath of fresh air, it is not something I have embraced with open arms yet. Do I feel certain this was the right and best thing for me to do? Absolutely. But I am still working through the hurt that I feel not being able to nurse. My faith has been shaken in a new and different way than ever before. I'm still processing. I do want to say that the comments (here and on other social media outlets) have been incredibly encouraging. It has been amazing to hear about other moms' experiences and know that I am not alone. Thank you all for that. There are still more "parts" to come. I've already found some redemptive pieces to this story, but I'm definitely praying to discover even more. Thanks for continuing to read and follow along. Great series and post, Claire. You put it into words so well. I can't imagine what it's like to exclusively pump when you have a toddler. My friend is exclusively pumping with her baby and she said it is SO annoying to not be able to go out because you literally can't pump in public (and obviously you can breastfeed). I can't imagine doing it with a toddler around! Gah. Anyway, I think you obviously did the right thing for all of you. I know there are so many factors. 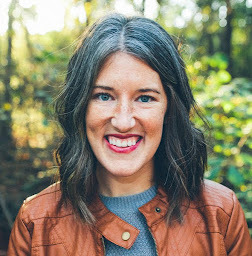 I feel like your story will be such an encouragement to so many moms out there! I could have written all of this. We did it all too. The syringes and tube that just would never stay in place... Three lactation consultants, and finally had to go to a speech therapist because it turned out our last baby couldn't drink out of a bottle either. He finally got the bottle after lip and mouth exercises, thankfully. I am the proud mother of two formula fed babies... and they are smart and healthy and best of all, they were blessed with food. I couldn't give it to them, but there was something out there that they could eat, that could help them grow. But I know what a huge emotion, mental, spiritual, physical burden the whole process is and I feel for you!